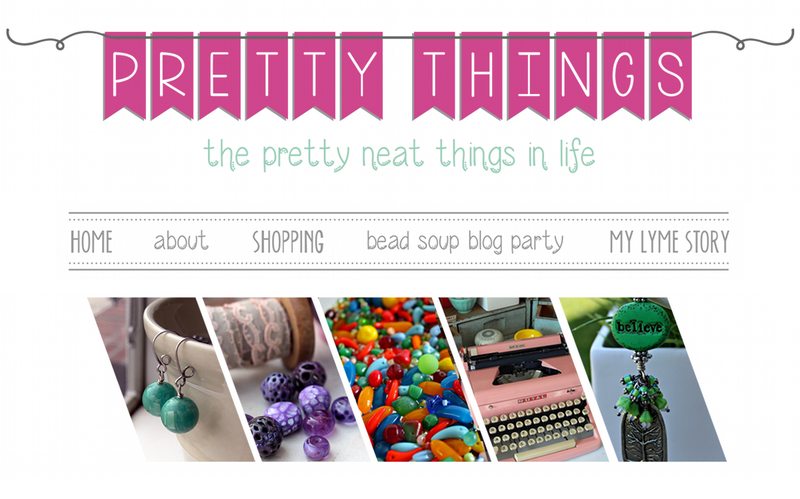 Pretty Things: Get a Sneak Preview of the Bead Soup Book! 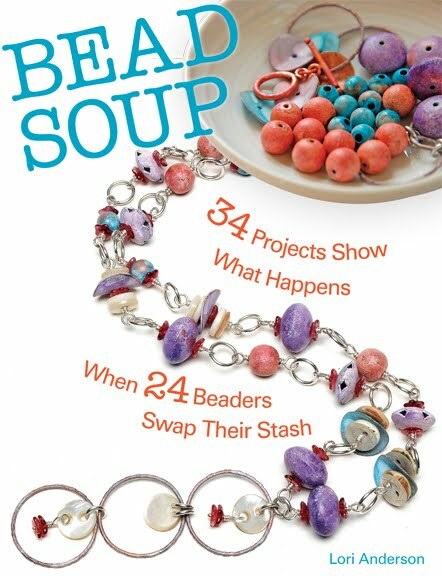 On the 5th Bead Soup Blog Party day, Cindy Wimmer will be showing you some of the bead soups the contributors and I used. Cindy did all the photography for the bead bowls and did an outstanding job! The book will be out in September of this year. I can't wait! It still doesn't seem real to me. The photo above shows the soup I used for the free tutorial you get if you order from me directly. Isn't that owl divine? I got it at the Bead and Button Show last year -- and speaking of which, are you going to go? I can't wait! 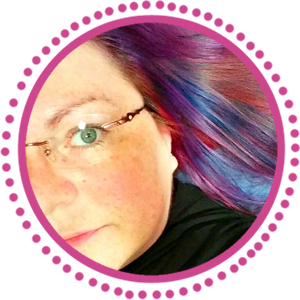 See you on Saturday for the blog hop! 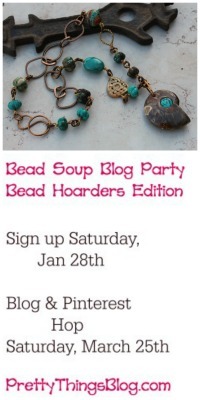 Don't forget the Cup of Bead Soup lottery! Click here. Three Book Reviews: "Speaks the Nightbird", "About Alice", "Memory"
I'm going to Bead and Button! I'm really jazzed about it, too -- it's THE event I look forward to all year. That is a warm and spicy soup mix! I would love that little owl to play with! Very nice beads - and yes, the owl is divine! I'm excited for your book and for you w/it's publication! Way to go!! Yup, going to B&B this year - I had to miss last year and was totally bummed. Can't wait for your book...will you be getting an order button up for us? Or am I already missing it? Love that soup in the pic. Can't wait for the book and the BSBP this Saturday. How exciting, I can't wait to get a copy of your book. Love the little owl, super cute! 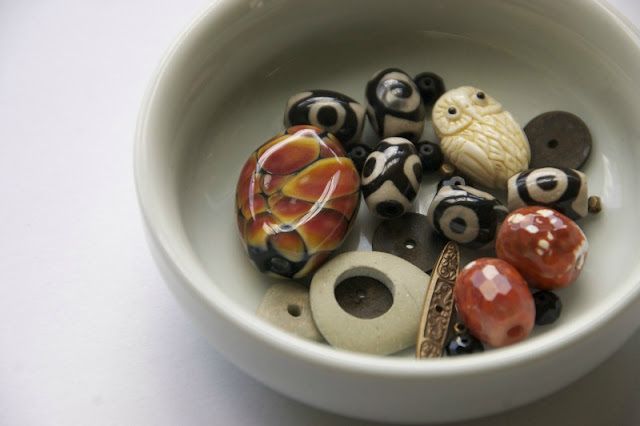 The bead soup mix looks delicious and what a spicy dash of flavor the little owl adds. Love the warm, rich colors ... reminds me of chili powder or paprika. I am enjoying learning about bead soup. Wonderful! Oooh, I love all the pieces you made out of your soups! So creative. Thank you so much for coordinating the BSBP...I had so much fun! Wow, you made so many pieces, beautiful, Greetings from Jamaica- mon...can not wait to party hop when I get back!!! I am so, so excited! I cannot wait to buy a copy of the book. Congratulations!!! !